ShowFile Display Book offers a simple, professional way to present and store important documents. Crystal clear page protectors are safe for all types of print and photos. Clear front poly cover and spine pockets allow you to customize your book with title inserts. 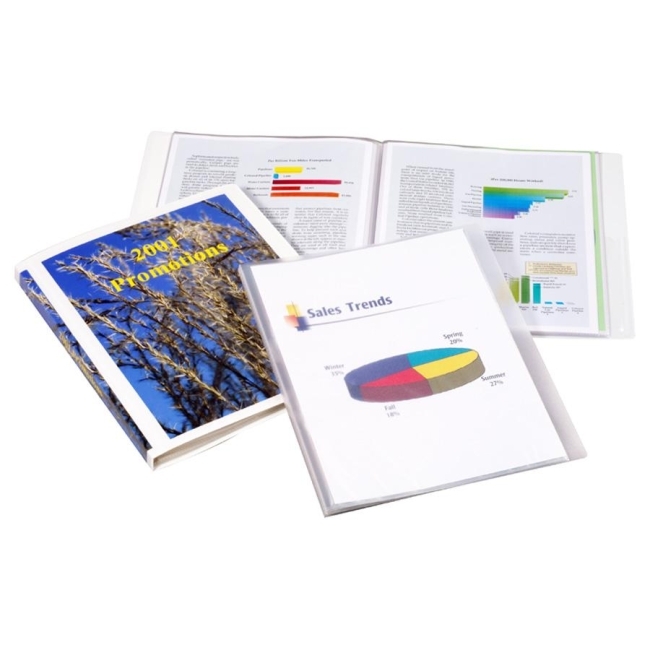 Acid-free, transfer-safe poly pocket material will not lift print from contents. Free templates are available.